Dr. Deb’s Mental Health Vitamin has good advice on how to get the most out of the holidays — which sometimes means making a conscious decision to cut short or eliminate some preparations. 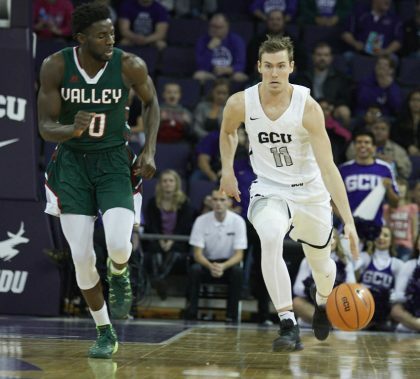 Photos by Travis Neely GCU News Bureau The Grand Canyon University men’s basketball defeated Mississippi Valley State 71-38 Monday night at GCU Arena. 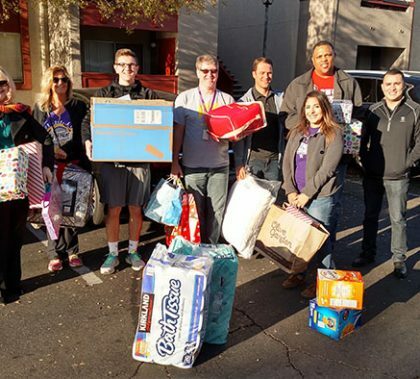 The Curriculum Design and Development department, which annually adopts a family at Christmastime, went above and beyond — way beyond — for a local mom who faces many challenges in trying to provide for her children. “It just kept growing and growing bigger and bigger,” said the department’s manager, B.J. Reyes. 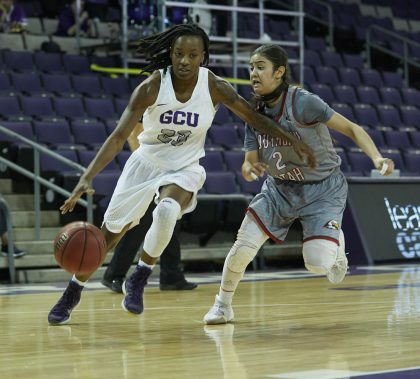 Photos by Travis Neely GCU News Bureau The Grand Canyon University women’s basketball team defeated Southern Utah 59-54 Monday afternoon at GCU Arena. 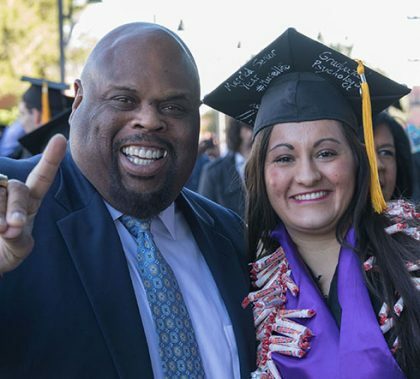 This week’s edition of Antelope Intros features a university development counselor with so much enthusiasm for life. The other is an addition to Public Safety with an extensive background that fits his role as campus security. 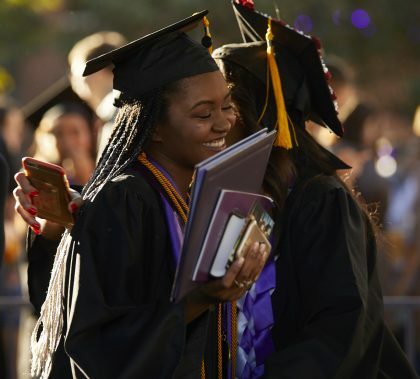 Photos by Travis Neely GCU News Bureau The second of two winter commencement sessions Friday featured graduates from the Colangelo College of Business and the College of Nursing and Health Care Professions. 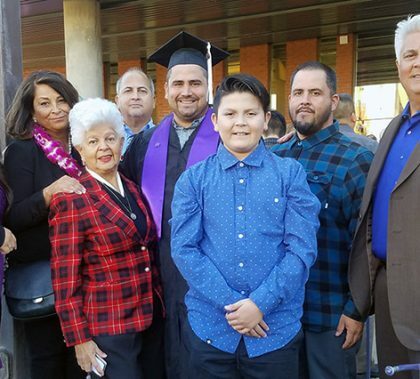 Rep. Grace Napolitano showed up at Grand Canyon University Friday to see her grandson walk across the stage. 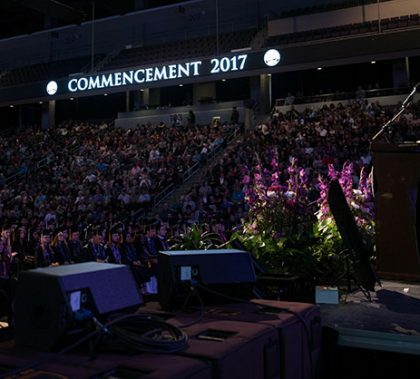 Napolitano smiled and made her way through the crowd inside GCU Arena following the ceremony and shared her admiration for the University, her excitement for her grandson’s achievement and her hope for the future. Photos by Slaven Gujic GCU News Bureau The first of two winter commencement sessions Friday featured graduates from the College of Education, College of Fine Arts and Production, College of Humanities and Social Sciences, College of Science, Engineering and Technology, and College of Theology. Many of the graduates at winter commencement are the smarties who earn extra credits, work extra hard and make a big impact even though they graduate in fewer than four years. 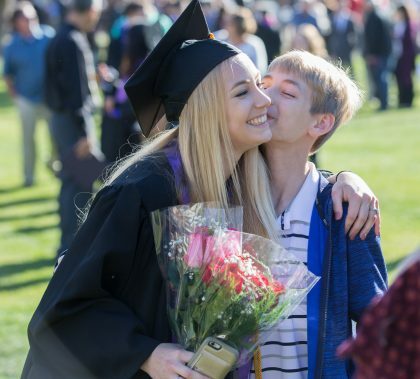 But, for them, Friday’s ceremonies are a bit bittersweet because of the relationships they built and the experiences they had in their relatively short stay at GCU.